With a mean distance of about 108 million kilometres or 0.72 AU, Venus is the second closest planet to the Sun and our nearest planetary neighbour. 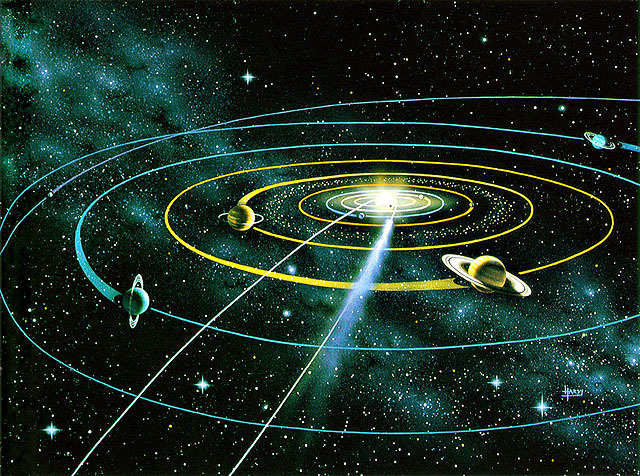 Its orbit about the Sun takes 225 days with its distance from the Sun being almost three-quarters of the Earth's. The Earth's sister planet revolves around our central star in an elliptical orbit that is the most circular of any planet. The difference between its aphelion (the orbital point farthest from the Sun) and perihelion (the orbital point where a body is closest to the Sun) is only 1.5 million km, which gives its orbit an eccentricity - that is the ratio of the distance between the foci of an ellipse to the length of its major axis - of 0.007, the lowest of any planet. For comparison, the eccentricity of the Earth's orbit is 0.0167. The inclination of the Venusian orbit to the plane of the Ecliptic (the Ecliptic is the projection of the Earth's orbit onto the celestial sphere) is about 3° 24'. With an orbital speed of about 35 km/s (the Earth moves at 30 km/s), the siderial and synodic periods of Venus are about 225 and 584 days respectively. The term "siderial period" means the interval of time one body needs to complete one revolution around another body with reference to the stars and the "synodic period" is the interval of time until Venus is again in the same position relative to the Sun, as seen from the Earth. The orbit of Venus which lies inside the Earth's orbit takes it closer to Earth than any other planet. So Venus can be very easily seen from the Earth. It is often called the Morning or Evening Star and it is often the brightest object in the sky, with the exception of the Sun and Moon. At its brightest it reaches magnitude -4.7, far brighter than any other planet. Like all other planets, including our own Moon, Venus shines by reflected sunlight. 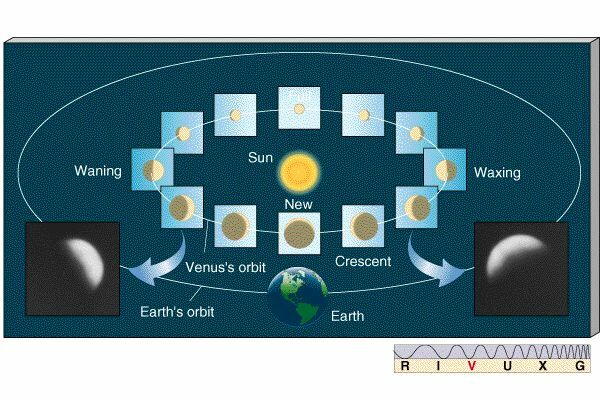 Moreover, as its orbit is inside the Earth's, Venus displays phases which are very similar to those of the Moon. Galileo Galilei was the first astronomer who discovered this phenomenon by using a telescope and it helped him to confirm that the planets are bodies like the Earth. 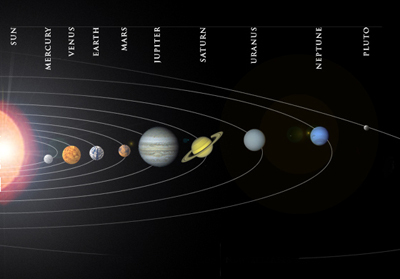 The entire set of Venusian phases could not be explained with the Ptolemaic Earth-centred system. The main difference is that, because of the changing distance between Earth and Venus, its apparent size changes considerably more than does the Moon's. Another difference between the phases of Venus and the Moon is that, seen from the Earth, it is not normally possible to observe Venus when it is "full" because it is then on the other side of the Sun (at superior conjunction, see below) and located very close to the Sun in the sky. Venus is brightest when it appears as a crescent. That is the case when Venus is in the evening sky and it appears to move from its maximum distance, called "greatest elongation", back towards the Sun. When it appears in the morning sky, it is brightest before greatest elongation. At superior conjunction, Venus is on the opposite side of the Sun and nearly 257 million km from the Earth. This great difference in distance from the Earth produces a large variation in its apparent size. At superior conjunction, Venus' apparent diameter is about 10" and at inferior conjunction about 64". The maximum elongation of Venus is about 47 degrees. Venus is a remarkable object in the night sky at its brightest, 35 days before or after inferior conjunction, when one third of the visible surface is illuminated. Under favourable conditions it is even possible to see the crescent shape of Venus with binoculars. The rotation period was unknown for a long time. Observers in the past saw faint hints of structure in the clouds, which seemed to indicate that these clouds might circle the planet in about four days, moving in the opposite sense to Venus' orbital revolution. Finally in 1962, radar waves penetrated the clouds and the measurements revealed that the rotation period is 243 days in a direction opposite to the other planets; this backwards motion is called retrograde motion, to distinguish it from prograde (forward) rotation. The planet spins from east to west, rather than west to east, like the Earth; so on Venus, the Sun (though invisible through the clouds) rises in the west and sets in the east. This slow retrograde rotation results in a solar day on Venus lasting 117 terrestrial days. The slow rotation of the solid surface contrasts with the rapid rotation of the clouds. The clouds rotate in the same sense as the surface of Venus but more rapidly, once every four days (See: The clouds of Venus!). The axis of rotation is almost perpendicular to the orbital plane; the inclination being 177 degrees. The fact that Venus is in retrograde rotation seems very strange to astronomers, since the planets orbit the Sun in one direction and almost all the planets and satellites spin in the same direction. So it is difficult to explain why Venus spins "the wrong way". One possibility depends on the idea that when Venus was in the process of forming, the planetesimals formed clumps of different sizes. Perhaps the second largest clump struck the largest clump at such an angle as to cause the resulting clump to rotate backwards. Another possibility is that sometime later in Venus' history a comet, asteroid or large heavenly body crashed into it causing it to flip. But these ideas are not supported by any good physical evidence, and it is strange that Venus ends up rotating slowly backwards instead of being tipped over at a random angle like Uranus. 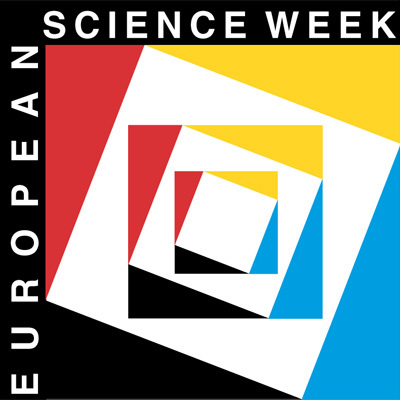 So it is generally believed that for terrestrial planets with dense atmospheres like Venus one reason for developing a retrograde rotation from a prograde rotation (in the same direction as the other planets) could be the core-mantle friction inside the planet - together with atmospheric tides, and the "obliquity" angle between the planet's equator and the plane of its orbit around the Sun. One of the important characteristics of the Earth is its seasonal cycle - Winter, Spring, Summer and Autumn. It causes changes of vegetation especially in the mid-latitudes of our planet. 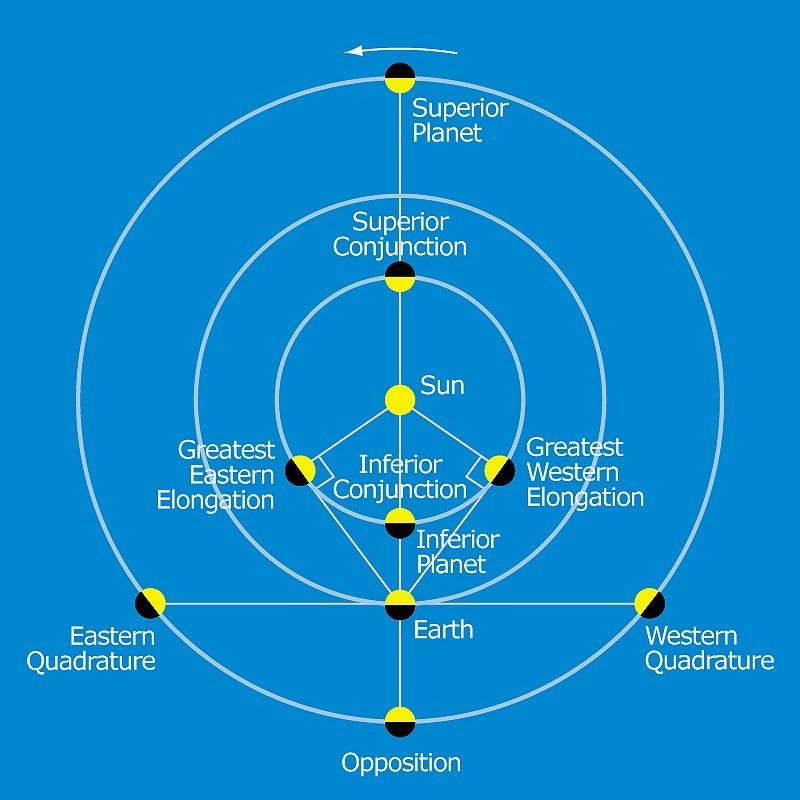 But every planet in the solar system has seasons, because seasons are caused by two factors: axial tilt and varying distance from the Sun due to orbital eccentricity. Since the Earth's orbit is nearly circular, it has little effect on the seasons. The main factor is our planet's axial tilt which causes almost all seasonal change. When the north pole is tilted toward the Sun, it is northern spring and summer. Six months later the north pole tilts away from the Sun and we experience northern autumn and winter. Venus and Jupiter both have quite small axial tilts of about three degrees compared to the Earth's 23.5 degree tilt. Consequently seasonal changes on those planets are correspondingly small. Spring on Venus is not very different from autumn. The plane's dense, acidic atmosphere produces a runaway greenhouse effect (See: The clouds of Venus!) that keeps the surface at 500 degrees Centigrade the year round - that's hot enough to melt lead!